Every day office supplies are the basic tools that most of us rely on to get our jobs done day to day. Employees, from the order takers and admin assistants to the executives, all know that office supplies are an essential office commodity that support efficient and effective operations. As much as we take them for granted, office supplies and furniture comprise a surprisingly large part of every firm’s expenses, regardless of the company size. The smaller the firm, the higher the cost and United Stationers reports that offices with one to four employees spend up to $1,844 per employee on office supplies, computer consumables, tech equipment, furniture and janitorial and breakroom products. Mid-size firms spend about $1,069 per employee and offices with more than 200 employees tend to spend the least at $639 per employee. First and foremost, a good office supply vendor carries at least 50,000 different items, offering branded and generic products, which can save your firm 10 to 70 per cent over name brands. Ideally, the vendor offers everything from office supplies to electronic accessories, furniture and fixtures and breakroom and janitorial products, so that your firm can place larger orders with fewer vendors. 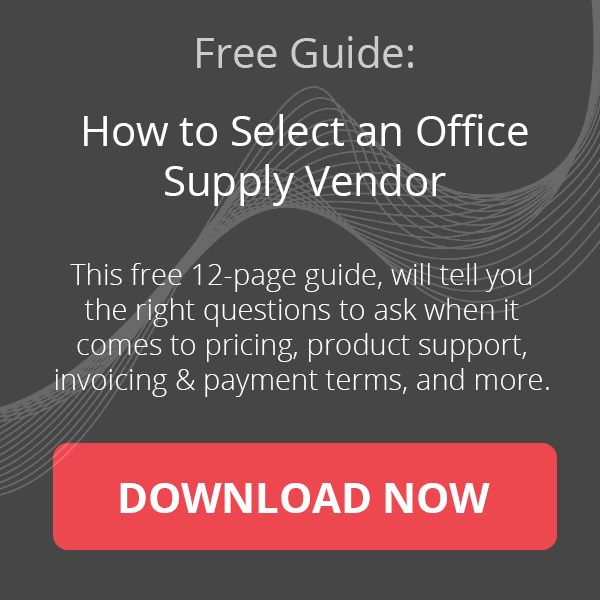 Most office supply vendors carry the same or similar products, which makes it incredibly easy to compare prices on the items you use the most with vendors’ websites and catalogues. Be sure that the price you see is the price you’ll pay. Discounts are meaningless if they’re on high or non-competitive prices. The lowest price isn’t the lowest after unexpected gas, handling or shipping fees. Does this vendor price match? Is this vendor’s price-matching criteria fair and easy to follow? Is there a minimum order? If so – what is it and can your firm easily and regularly meet that minimum? What are the penalties if the minimum is not met? How does that affect gas, handling and shipping fees? Be sure that your vendor lets you and your employees place orders online, via email, telephone and fax. Confirm that the order method doesn’t affect delivery times, fees or product availability. In print or online, the product catalogue must be easy to search and navigate and list every item that is stocked and available to order. The search function should let you browse through categories or search for specific items. For example, you can look at every available sticky note or search by brand, size and colour. If you are in or near a major metropolitan area, your vendor should reliably and consistently deliver in-stock items within 48 hours. If rush and next-day delivery are an option, what are the associated costs? After carefully assessing these factors, there are several additional issues that must be considered before you negotiate the terms that meet your needs and sign the contract. 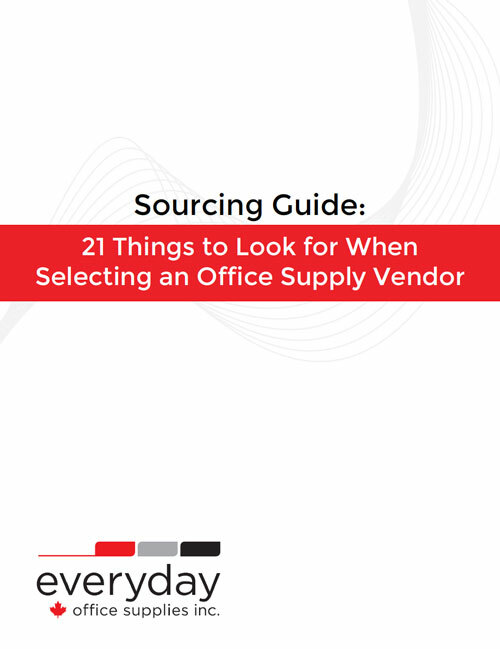 You’ll find additional insights in part two of our blog post on selecting your office supply vendor.